It is a searing, incisive thing; the best film of its kind to come along in many a year. And the performances are all uniformly excellent. Winslet and DiCaprio both give what could very well be the performances of their careers, but the real revelation here is Michael Shannon, who has been a reliable character actor for years, but he really rises to prominence here as an insane former mathematician who may just be the most sane person in the film. 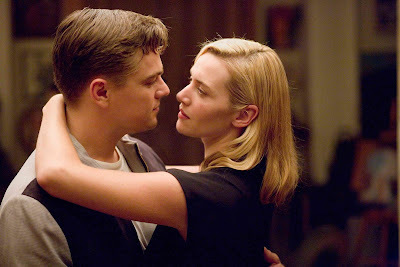 The actors turn Justin Haythe's ferocious screenplay into something akin to verbal swordplay, and while it isn't always pretty, "Revolutionary Road" pulls none of its punches, and it's absolutely riveting as a result. One of my favourite films of '08.....so damn underrated. Still glad u dug it tho!